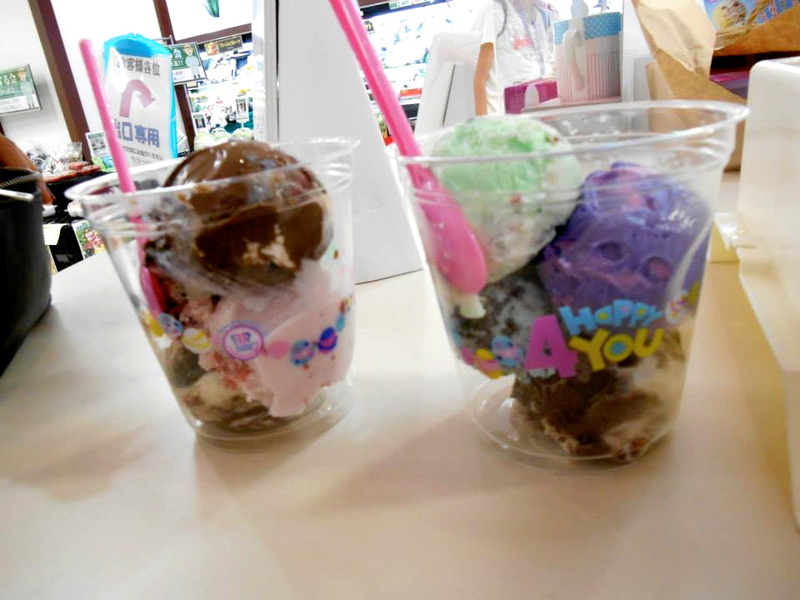 We love ice cream, specially in Japan we have found many types and flavors in supermarkets that we eat almost everyday. 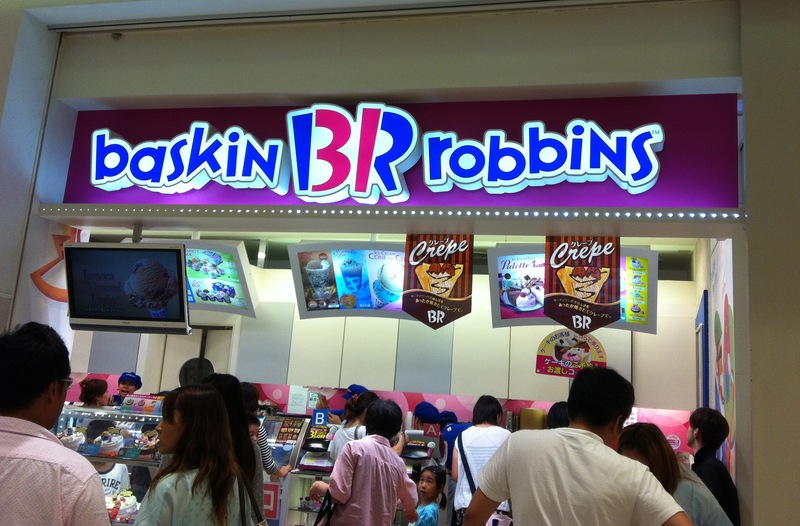 Among the many ice-cream stores we have seen, one of the best definitely is Baskin-Robbins and their huge variety of flavors. This chain has a lot of history, it started in 1953 in the United States under the official name “Baskin-Robbins 31 Ice Cream”. 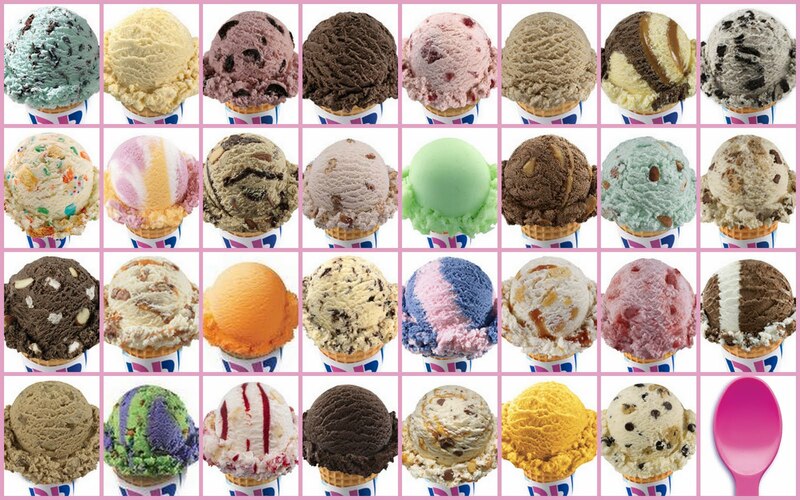 The number 31 represents a flavor for every day of the month. In the 1970s the chain went international, opening stores in Japan, Saudi Arabia, Korea and Australia. Now, they have 7,000 store locations in over 50 countries outside the United States. The pink spoon is something that distinguishes this chain. 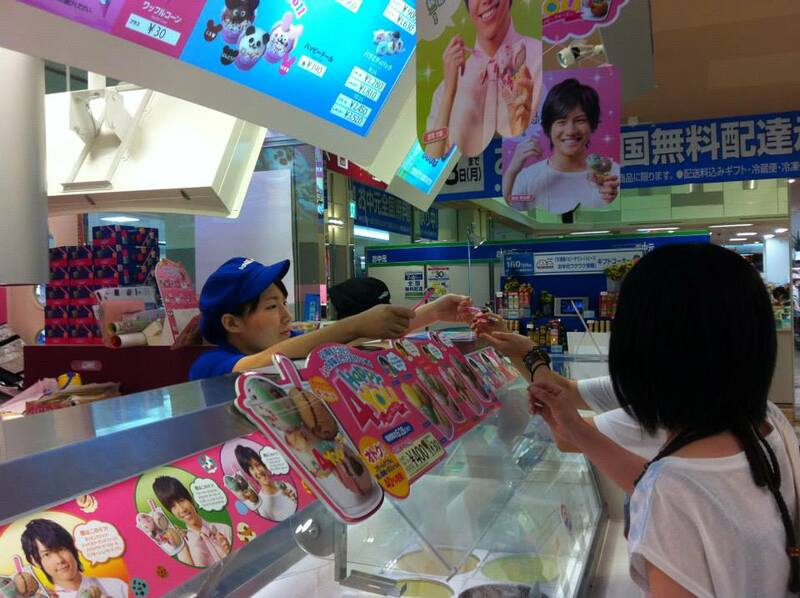 When you enter the store, the employees make you try one of the flavors before you decide what you want (you can also ask to try other flavors). As you can see in the picture above, there are many different kinds, including traditional like chocolate, strawberry, cookies and cream or special ones such as cheesecake or popping shower (a sweet exploding candy flavor). Each month there are special flavors according to the season, for example, last month we found cotton candy. But, there are always 31 flavors. In summer there are also special promotions, such as a cup with up to five flavors in smaller sizes so you can try many kinds of ice cream! If you have Baskin Robbins in your country, or see it when you travel, don`t miss the chance to try this delicious ice cream!